I get it. Your blog is new, and producing original content is your top priority. Time is limited, and your focus is on growing your audience with great articles and information. As an accountant, I continuously run across business owners who are so excited about their new venture but have put zero energy into organizing their business finances. Ignoring business finances always leads to stress and confusion come tax time. Before your blog business gets too out of hand, take a moment and get your finances in order. The earlier in your business journey you set up a financial system that works, the better off you will be. Spending a little time now will save you SO much time later on. That sounds like an excellent trade-off to me. By following these three simple steps, you will have your blog finances easily under control in no time. The most important thing you can do as a new blogger is to have a separate checking account and credit or debit card exclusively for your business activities. Personal transactions and business transactions should be kept entirely separate. One way to keep your business financial transactions separate is to dedicate an existing personal bank account and credit card for business activities. For example, when my husband and I got married we had two bank accounts, after combining our finances we only used one bank account for our financial transactions. That “extra” bank account not in use could have become my dedicated account for business transactions. This method can accommodate your needs in the early days of business ownership before you commit to opening a bank account in the name of your business. The best way to obtain separate business financial accounts is to open up a bank account, and credit or debit card, in the name of your business. Your local branch will have information on opening a business checking account. Going online for all of your business banking needs is also an option. Some people choose only to use PayPal for their business income and a PayPal debit card for their expenses. Capital One also has online business checking accounts that are easy to set up. Business accounts vary in fees and minimum balance requirements, so look carefully at the fee schedule before opening an account. Whatever method you choose, keep business transactions completely separate from your personal money. The next step to getting your blog business finances in order is to determine what method you will use to do your bookkeeping. You need a way to track your blog revenues and expenses. By monitoring your income and expenses, you will be prepared come tax time and can make sound financial decisions for your business throughout the year. As a new business owner, if the number of monthly transactions is minimal, using a spreadsheet to track income and expenses may work well. Use your bank statement and credit card and record the date, payee, and amount. Assign each transaction a category such as, Revenue for Services or Supplies Expense, for easy sorting and summarizing at the end of the year. This method of bookkeeping is only recommended when transactions are few. The best and easiest way to keep track of income and expenses is to use an online accounting program. There are many good options to choose from, and most have a free or low-cost version. Online accounting programs include QuickBooks, Freshbooks, the Wave App, Xero, or GoDaddy Bookkeeping. Most of these programs will automatically import bank and credit card transactions which are a huge time saver. These programs also memorize transactions, and can automatically post new deposits and expenses to the right category. These automatic functions can make bookkeeping almost effortless. My recommendation is to use QuickBooks Simple Start. QuickBooks provides a quality product at a reasonable price. Their program is easy to use, creates accurate results, and can grow with your business. You can find a tutorial on how to get started with QuickBooks on my website. If you need help choosing an accounting program or getting your accounting program set up, my services may be of help. The great thing about online accounting software is that anyone can use them. You don’t need a degree in accounting to use any of these intuitive programs. They can eliminate the need to hire a bookkeeper, saving you lots of money! Save your future self a ton of time and energy by setting up your bookkeeping in the early days of your blog business. Trying to backtrack later and add old transactions can be time consuming and painful. When you set up an online accounting program early, new transactions are automatically imported, significantly reducing your workload and stress. Don’t delay! 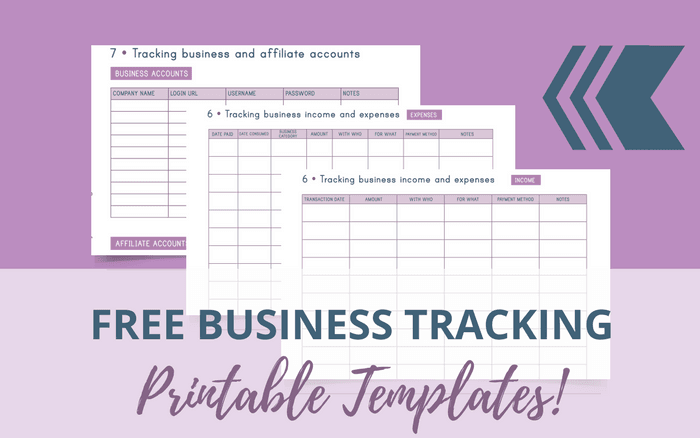 Download Your Business Tracking Printable Templates Now! Whatever method or program you choose for your bookkeeping, they all work best when you maintain them on a monthly basis! Once you have designated separate checking and credit card accounts for your business and selected a method of bookkeeping, it is so tempting to stop and never look at your finances until the end of the year. I encourage you to spend an hour or two on your finances each month. I guarantee your business will be the better for it. No matter which method you chose for your business bookkeeping, an hour or two a month should be enough to stay on top of your books. If you choose to use a spreadsheet, each month add the new transactions from your bank account and credit card statement. If you choose to use an online accounting program for your business bookkeeping, log in each month to categorize newly imported transactions. Because online accounting programs often memorize categories for recurring transactions, all that might be needed is to go down a list and click a button to agree with the programs category recommendation. Lastly, look at your finances with a critical eye. The benefit of doing your own bookkeeping is the hands-on look at your finances you will obtain. If you are using an online accounting program, run a Profit & Loss statement. If you are using a spreadsheet, you might add up your revenue and expenses and compare. When examining your finances ask yourself key questions. Are my expenses higher than I anticipated? Is there a monthly fee I am paying for a product I rarely use? Where can I reduce my costs? What segments of my business are producing the most revenue? Can I enhance this revenue in any way? Which income producing activities appear to be the most profitable for my time and effort? How can I adjust my actions to raise revenues and decrease expenses? 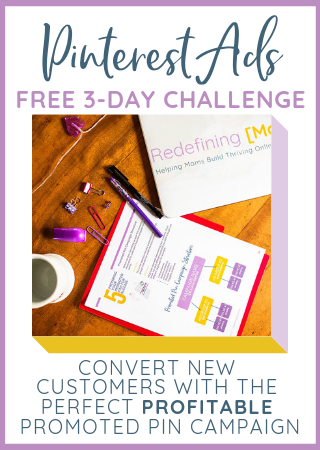 CLICK HERE TO GET FREE BUSINESS TRACKING PRINTABLES! There are so many benefits to doing your own bookkeeping and maintaining your books on a monthly basis. By having up to date accounting records for your business, you can use that information to make informed decisions about your business. When you understand your business finances in real time, you can make adjustments that will favorably impact your bottom line. When you stay on top of your bookkeeping on a monthly basis, tax time will be an absolute breeze! No stress or mess! Solid financial data will reveal patterns that aid in decision making. When you make informed decisions, you save money and increase revenues! That sounds like a recipe for success! 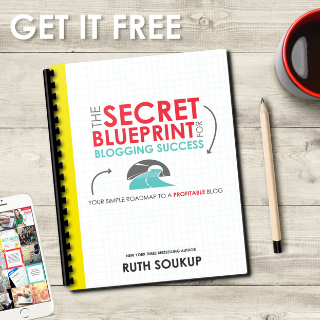 Excited to get your blog finances in order?! Don’t delay in implementing these three easy steps. You will be so glad you took the time to get a handle on this often overlooked area of running a blog business. Sarah Korhnak is an accountant helping small business owners get a handle on their taxes and bookkeeping. As a small business owner herself, she understands the accounting needs and tax frustrations of new small business owners. 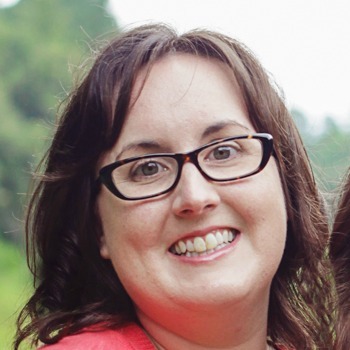 Sarah is the author of several tax guides including The Blogger’s Simple Guide to Taxes and The VA Tax Guide. You can find her on the web at SmallBusinessSarah.com.